For Formula 1, 1988 was a historic year. The very thought of that era conjures up images of Marlboro liveried McLarens nearly always crossing the chequered flag first. Of some tremendous battles between those two sparring team-mates - Alain Prost and Ayrton Senna. And of a time when one of Formula 1's most historic partnerships was at its very best. Indeed, powering the McLaren to 15 wins of 16 races that season, was Honda. Now, 20 years after that partnership dissolved, an announcement has been made that will bring cheer to the heart of many an F1 fan. That's right - Honda is returning to Formula 1 in 2015 as an engine supplier to McLaren, no less. The Japanese manufacturer has indicated that their decision to return to F1 has been made primarily because of the new rules and regulations that will come into effect starting next year - primarily the use of 1.6-litre turbocharged V6 engine units. Until 2015, however, the McLarens will continue to be powered by Mercedes engines. Of course, Honda's involvement in Formula 1 extends beyond just the role of engine supplier and the company fielded a works team in the sport between 1964 and 1968, with the likes of John Surtees and Richie Ginther driving for them. The team then moved to supplying engines to F1 teams, which they did between 1983 and 1992, with Lotus, McLaren, Tyrell and Williams all getting Honda power. The company then returned to F1 after a hiatus as engine supplier for the BAR team between 2000 and 2005. After which they bought out the BAR team and ran as a Honda factory team for two years, albeit with little success. Let's go back to their successful streak then. 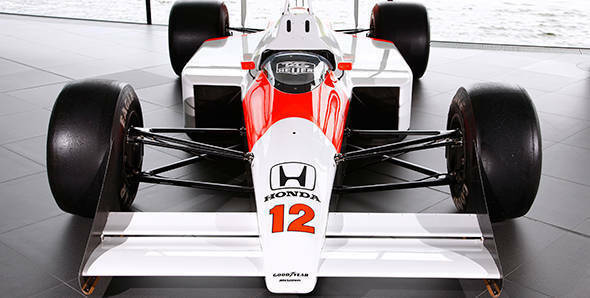 Between 1988 and 1991, the combination of McLaren and Honda took home every single world championship title up for grabs (Ayrton Senna won in 1988, 1990 and 1991, while Alain Prost won in 1989). So will the McLaren-Honda package be able to replicate its success this time around as well? Well, the year 2015 holds all the answers. Until then, though, we're sure the team at Woking is hoping for precisely that. As are drivers Jenson Button and Sergio Perez.